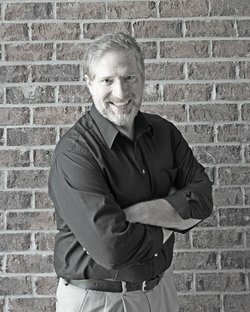 Gary A. DePaul has a Ph.D. and Ed.M. from the University of Illinois at Urbana-Champaign Department of Educational Organization and Leadership and completed his bachelor’s degree at the University of Alabama at Birmingham. He has two decades of experience as a manager and scholar of management, has worked as a manager in fortune 500 companies, and consults with organizations to improve leadership practices. He is a Certified Performance Technologist (CPT) and a CPT application reviewer and presents at such associations as the International Society for Performance Improvement (ISPI), the Society for Human Resource Management (SHRM), and the Association for Talent Development (ATD). 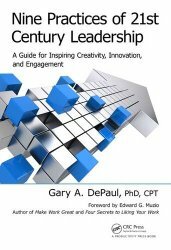 He recently published Nine Practices of 21st Century Leadership: A Guide for Inspiring Creativity, Innovation, and Engagement. EB: How did you get interested in leadership? And what motivated to write Nine Practices of 21st Century Leadership? GD: For most of my academic and professional career, I only had a casual interest in leadership. Even when I studied Situational Leadership® II and Servant Leadership, I hadn’t developed a strong interest. It wasn’t until I listened to James C Hunter’s The Servant Leadership Training Course audiobook that I realized that leadership is something bigger and more important than what I traditionally had been taught. Within a few months of listening to this audiobook, I started discovering new themes in leadership that radically differs from tradition themes. The more I learned, the more passionate I became about the research and discovery of what is involved in serious leadership thinking and practice. EB: What did you discover in the course of the research? • 21st Century Leadership emphasizes interactions between leading and collaboration while de-emphasizing roles such as leader and follower. • Management involves accomplishing goals through others. That’s not what leadership is about. Leadership is about helping others mature their mental and moral qualities, capabilities, and behaviors. This is a fancy way to say that leadership is about building character. • Leadership is action that focuses on others and not yourself. • The practice of leadership is bi-directional. By helping others build character, you inadvertently build your own character. • Everyone can practice leadership regardless of role. • Sharing your own mistakes builds your credibility and helps others trust you more. • Leadership doesn’t reside in one person or one role. Fully evolved teams consist of everyone practicing leadership and collaboration. • Teams and organizations that are fully practicing leadership effectively are more productive and work in environments that promote safety, engagement, creativity, and innovation. EB: What are the implications of this new thinking for large organizations? GD: Several organizations provide leadership development for managers and executives. Not only do these programs exclude individual contributors, they tend to be more about management and traditional leadership. If organizations want to earnestly develop leadership within their ranks, they need to rethink who should receive leadership training, the training content, and how training is delivered. In addition, those in charge of diversity initiatives and the strategy portfolio should leverage the principles, beliefs, and practices to improve their outcomes. Just as important, owners of diversity, strategy, and training should harmonize how they leverage leadership. Doing so greatly improves positive results. EB: You introduce a series of metaphors: being a detective, doctor, guide, and gardener. What was your idea? GD: At a glance, readers can gain insight into what’s involved in the nine best practices of leadership. At the very least, I want to stimulate curiosity so readers would explore why I chose a particular practice title. Here’s an example of how I title one of the practices: In Develop Like Scouts, readers discover that this practice involves “scouting” for new ideas and talent. Think of a baseball or football scout. Teams need to search outside their team to find insightful methods, techniques, and resources that promote development and improve productivity. Sometimes, this is achieved by recruiting new talent to the team – talent that brings new ways of thinking about how the team works. EB: Who is the audience for Nine Practices of 21st Century Leadership? GD: The audience is anyone who wants to improve their leadership capabilities. Everyone can apply these leadership practices in their role, so the audience isn’t limited to managers and executives. Another audience are researchers and scholars. In the book, there’s a wealth of sources to support researchers’ valuable work and their achievement in advancing the leadership field. In the book, I have about 80 quotations, more than 150 table notes, more than 400 endnotes, and more than 135 bibliography references, so there’s plenty for researchers and scholars to leverage. EB: How is leadership different from management? GD: If you survey 100 leadership experts, they’ll agree that there’s a difference between leadership and management. Ask them to explain the difference, most will have difficulty doing so. You could have executives managing the overall organization, process managers, project managers, and people managers. These management roles are formally assigned to employees by human resources (HR). In contrast, leadership is something that HR cannot assign. Although you might hear some describe senior executives as having leadership roles, that’s inaccurate. Many executives fail to practice leadership regardless of having a leadership label. Everyone can practice leadership (or not) regardless of role or career level. Leadership involves a set of practices that you apply to any process or action that is assigned to a specific role. For example, CEOs create and maintain the vision statement of a company. That’s a management task. Therefore, creating a vision statement can be accomplished with or without practicing leadership. A CEO not practicing leadership might create a vision statement during a retreat with his or her direct reports. That really isn’t how leadership is practice at the CEO level. However, a CEO that practices leadership might incorporate the input from employees at all organizational levels and leverage employees to refine, improve, and own the vision statement. Here’s another way to think about this: Managers of people hire, fire, promote, demote, “micromanage,” conduct annual reviews, and increase/decrease pay (just a few managerial tasks). Leadership has to do with how you perform these tasks. How a manager acts when reviewing someone’s performance differs substantially depending if the manager practices leadership or not. EB: What makes a good leader, or a great one? GD: People who are good at leadership study leadership principles, beliefs, and practices and then attempt to apply leadership to their role. People great at leadership do the same. However, they also collect feedback (direct and anonymous) about how well they practice leadership. They then create one to two objectives to improve their leadership practices based on their feedback. Those good at leadership casually and infrequently study leadership. Those great at leadership continuously strive to learn how they can improve and regularly set objectives for improving their leadership practices. EB: You also talk about continual growth for leaders. Why is that important? 1. Arrested development. People tend to develop skills until they are satisfied. Once satisfied, they discontinue to develop. The challenge of leadership is that most people stop developing their leadership capabilities too soon and are, at best, partially successful at practicing leadership. Leadership is so complex, you would need a lifetime to really master the practices. However, mastering a few can substantially make a positive difference. Continue to improve and your impact will be extraordinary! 2. Old habits. Anyone who studies habit theory knows that old habits never disappear fully. People can easily regress to old habits without realizing it. This includes practicing leadership. Anyone can slip back to using coercion or traditional leadership practices that are easier than practicing 21st Century Leadership. 3. Evolution. In the past 30 years, the leadership field has radically changed and continues to evolve. I’m excited about the developments in the next couple of decades, and if you’re serious about practicing effective leadership, you’ll want to keep current with what’s developing in the leadership field. Doing so might make a substantial difference in how you effectively serve others. GD: Thank you for this opportunity.